The advent of LEED (Leadership in Energy and Environmental Design) with version one began a worldwide movement which continues today, positively impacting the building industry and humanity as a whole. With the green movement came LEED Certification for buildings and LEED Accreditation for engineers, architects, and other professionals in the industry. From version one of LEED to the most recent version 4.1, LEED continues to evolve incorporating government policies and standards, technological advances, and more stringent requirements intended to improve carbon reduction and enhance human health and well-being. In 2007, Green Building Education Services (GBES) was founded to address the growing LEED movement and provide best-in-class education and encouragement for professionals in the industry from architects to interior designers and everyone in between. GBES soon partnered with the U.S. Green Building Council (USGBC) which was formed to help insure building are designed, constructed, and operated with LEED’s design thus creating better communities which are both healthier and more prosperous. As a USGBC education partner, GBES proceeded with the creation of the original LEED practice tests and today, the company is recognized as a global green building movement leader offering courses, study tools, practice tests, and a growing continuing education library to help industry leaders gain and maintain the latest LEED credentials. WELL AP (for designing, building, and operating healthier commercial buildings). More than 110,000 professionals have used these study tools to gain their desired sustainability credentials and successfully advance their careers. In addition to these exam prep study tools, the GBES Unlimited Exam Prep Study Subscription promises access to a unique exam prep forum full of tips and hints from these industry professionals who have recently gained these credentials. On the forum, you can also ask questions of your peers and LEED experts to help you gain success. Plus, once you have your new credentials, you can share your wisdom on the forum with others hoping to gain their LEED credentials. No matter your learning style – audio, visual, or kinesthetic -the experts at GBES have created learning sections to cater to your unique preference. Videos, flash cards, practice tests, all enable you to work interactively and at your own pace as you master each section. As green building professionals have quickly learned, the GBES Unlimited Exam Prep Study Subscription doesn’t stop there but offers subscribers quarterly industry news including LEED and WELL changes, as well as green building trends, ongoing USGBC education, and updates. You’ll also gain exclusive access to the Private Green Building Matters Facebook group which boasts more than 1,600 sustainability professionals where you can share your stories and enjoy genuine conversations with like-minded green building professionals from around the globe. If you’d like to join the growing number of engineers, architects, construction and building professionals earning multiple sustainability credentials enjoying the benefits of the GBES Education Platform and Unlimited Exam Prep Study, visit www.gbes.com/join today. GBES delivers with a 100 percent satisfaction guarantee. You can end your subscription once you have earned all the sustainability credentials you need, or you can transfer to the Credential Maintenance Subscription which takes all the guesswork out of maintaining your newly acquired credentials. 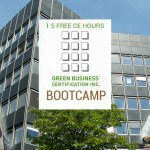 Earning LEED and WELL credentials has never been easier or more enjoyable. To keep reading about the best way to earn and maintain valuable LEED and WELL credentials click here. Description: This workshop provides LEED practitioners, project teams, service providers, and developers an overview of the expanding suite of tools offered by the Green Business Certification Inc. Learn about the tools for market transformation: LEED, Arc, WELL, Sustainable Sites Initiative, PEER, Parksmart, TRUE, GRESB, and LEED for Cities. Also, receive an overview on each of the green building offerings build upon your current knowledge of LEED. Discover how to utilize tools and resources for advancing green buildings, communities, and cities. 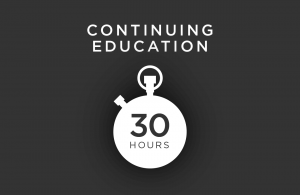 Enter your email and hit the "Watch Now" button to get instant access to this free CE course!